The property developer Gestilar is pleased to present its new project in Madrid, an exclusive and elegant residential development which, as always, stands out when compared to other developments in the area because of its design and its quality, which have been carefully thought out and brought to fruition. Where is Isla de Tambo? This time, our chosen location is the North of Madrid, next to the area of Alameda de Osuna, a benchmark residential enclave characterized by its wide open spaces with large wooded areas, where you can enjoy outdoor activities or sports, completely forgetting that the city centre is just minutes away. With regard to communications and transport, the A-2 and M-40 roads are nearby, and there are also many bus routes and the Canillejas metro station. Furthermore, the Apeadero de O’Donnell commuter railway station will be opening soon. In addition, Gestilar, which always seeks day-to-day convenience and the highest quality of life for its customers, has chosen this location because it offers a broad range of retail services where you can go shopping, as well as schools and health services. What are the dwellings in Isla de Tambo like? Isla de Tambo is a private residential development with large gardens in its communal areas, a swimming pool, a fully-equipped gym, and children’s play area, all of which with tight security as access to the development is controlled. This Gestilar project is composed of one building with 40 dwellings of either 3 or 4 bedrooms with an attic and ground floor, as well as 2 parking spaces and a storage room. One of its differentiating characteristics is that all dwellings are double aspect and have a large terrace, and most of them face south. Gestilar’s commitment to the environment is also evident at Isla de Tambo, with its ‘A’ grade energy rating (the highest possible), which results in a significant reduction in energy consumption. In addition, the dwellings, which are designed in accordance with eco-sustainable standards, have high levels of illumination and natural light, energy-optimization features in both the dwellings and communal areas, and they are equipped with a system of under-floor heating, domestic hot water that benefits from solar energy, climate control by way of a hot/cold pump, and a system for the renewal and treatment of the air. The details of interested customers are being collected on our website and via our contact telephone number 690 06 06 06. Once we start our marketing campaign, we will send you specific information on prices and availability. 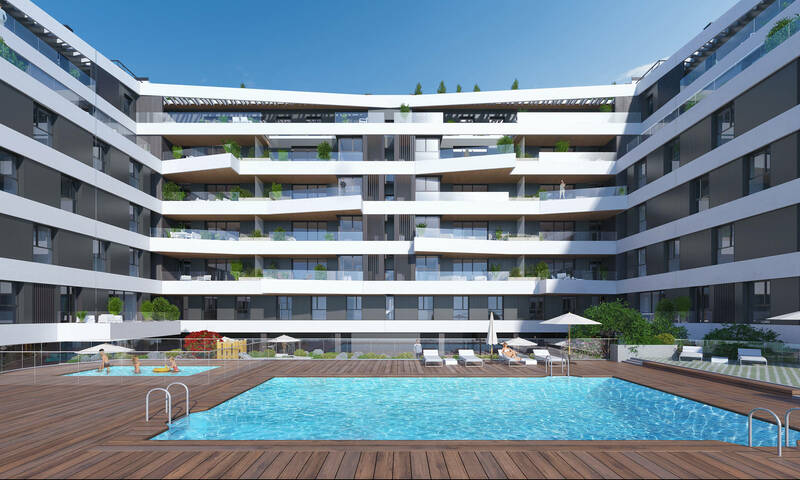 Do you want to know more about this new residential development located in the North of Madrid? Stay tuned, we will let you know when more information is available!